Looking for the Experience of a Lifetime? Then search no more. We have just the place for you. High Country Alpaca Ranch, located in west central New Mexico, is a full time alpaca livestock operation that offers our facilities for your relaxation and enjoyment. 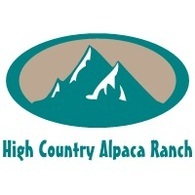 Established in 2009 by John and Carolyn Fifield, High Country Alpaca Ranch prides itself as a super clean, well maintained ranch where one can easily commune with nature and animals alike. 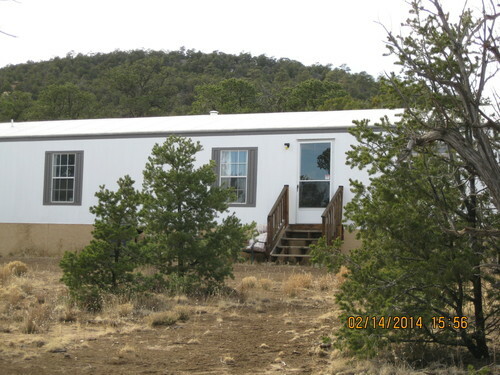 The ranch sits at 7560' and is surrounded by Pinon Pine and Juniper trees. The barn, pastures and paddocks were well thought out and constructed in a manner that is conducive to excellent animal husbandry and human interaction. Our alpacas, Great Pyrenees livestock guardian dogs, house dogs, cats and free range chickens are all friendly with each other as well as visitors. Individual consideration for renting the Bunkhouse from November through March may be given upon request and is dependent upon weather and road conditions. Internet and television services are not provided during these months. Though the Bunkhouse is open for anyone, we are dedicated to serving families with children having developmental disabilities, including those on the Autism spectrum. Past experience has proven to be an extraordinary pleasant time for both visitors and owners. We love sharing our animals and knowledge with you, so you can get as involved as you want. If you are looking to get into the alpaca business, we are here for you. Or you can just kick back, relax and enjoy the ambiance. The choice is yours. If you are looking for the perfect getaway, peace and quiet, commune with nature and animals contact us at 505-788-2236 for further information or to schedule a visit. High Country Alpaca Ranch is located 21 miles N of Quemado, NM and/or 58 miles S of I-40, Exit 89 in Grants, NM - at the intersection of Hwy 36/Hwy 117. Please check available dates and call us @ 505-788-2260 or 505-788-2236 to book your dates.